"The opening pages of Graham Greene's new novel, 'The End of the Affair,' are electrifying. They have a quality that, although it is hard to define with any precision, is immediately recognizable, the quality one becomes aware of as one reads the first few sentences of Henry James's 'Portrait of a Lady' or hears the first words of the plays of Ibsen's maturity. It informs one that what is to follow is to be an exhibition of an artist's complete control of content and technique. There is no falling off in the later pages of Greene's newest novel; it remains from first to last an almost faultless display of craftsmanship and a wonderfully assured statement of ideas. Greene has achieved artistic maturity, at once discovering exactly what he wants to say and the best possible way of saying it. 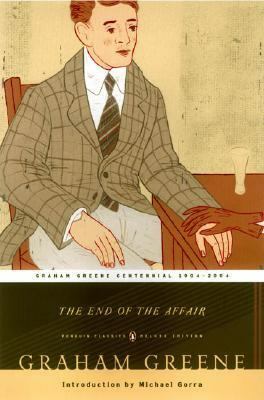 "Greene, Graham is the author of 'End Of The Affair', published 2004 under ISBN 9780142437988 and ISBN 0142437980.